Saturday, March 1, 2008 is the American Harvest Spring Open House. 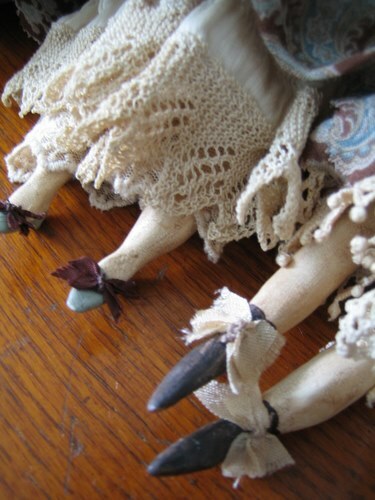 Nicol Sayre is the featured artist and will be there to sign her amazing dolls and Spring collection. 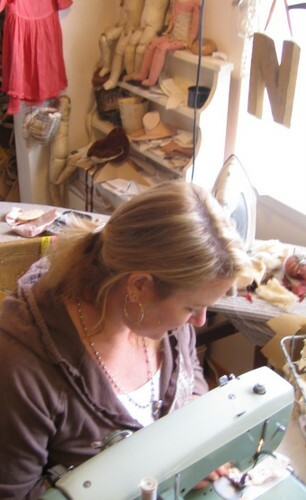 Her husband, Phil (or "Mr. Nicol" as we affectionately call him), snapped a few pictures of Nicol hard at work! Nicol will be signing her collection from 10am-2pm this Saturday at American Harvest. You are invited to share in our Spring celebration. 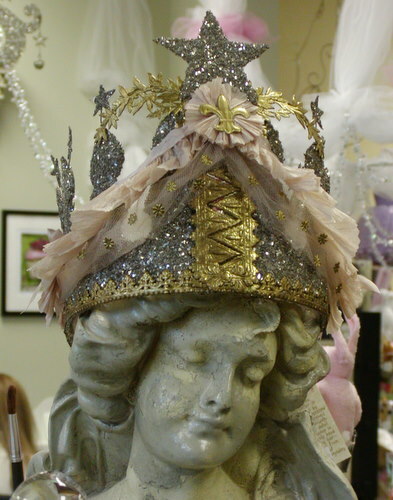 Easter is right around the corner and Donna O’Brien is filling American Harvest with her beautiful creations! You will want to read all about Donna in the next issue of Victoria. We are so proud to be Donna’s home store. 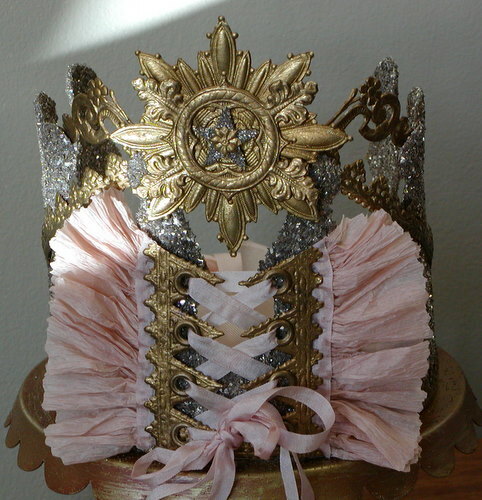 Her work is flawless and displays exquisite beauty. Don’t forget to read all about Donna in Victoria magazine’s upcoming issue. 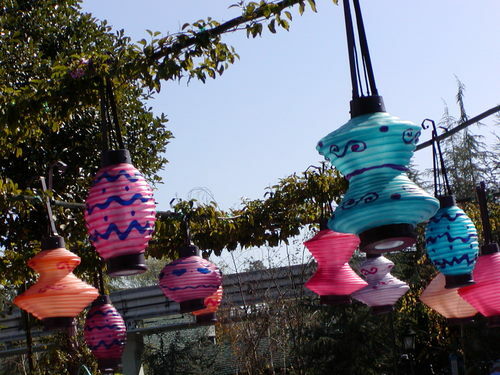 Also you can go to our website to purchase her magnificent creations. WINNERS OF DISNEY PINS ARE…. Thank you to all who took the time to enter our Disneyland Pin contest. 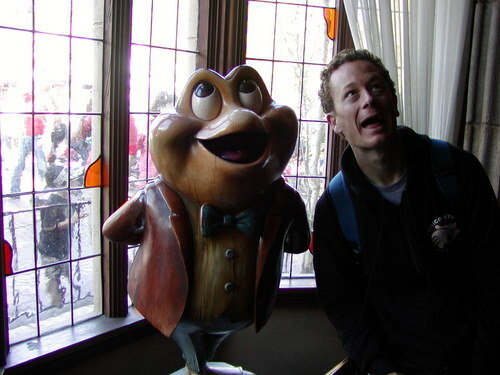 Three of you named all ten Disneyland rides correctly. We took the three names and placed them in a hat and drew out the winner of the three pins. That person is Pattie of Pleasanton! 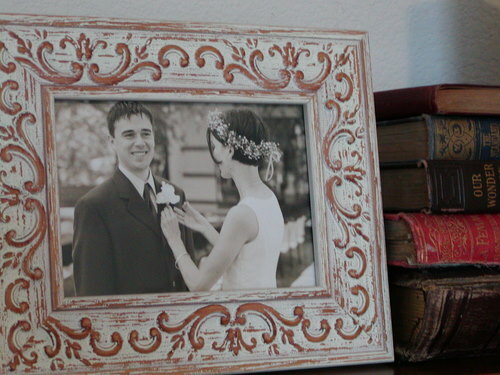 Congratulations, Pattie. You can pick up your three pins at the store next time you are in downtown Pleasanton. Since only three of you guessed the rides correctly, we decided that there would be a second and third prize! The second prize winner is Blaire of Dublin. 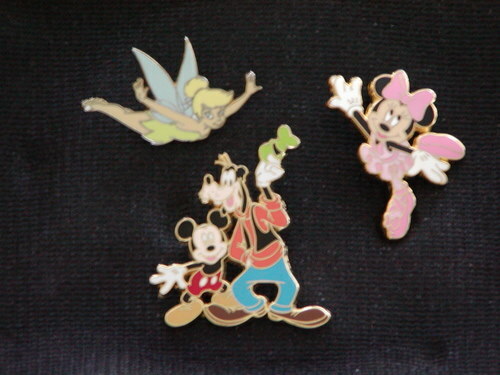 Blaire will get a Tinkerbell pin. 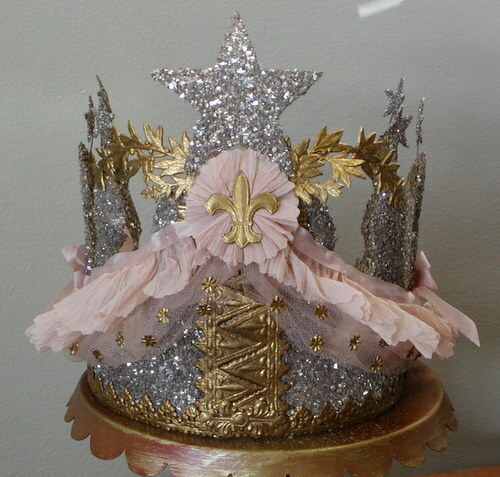 Finally the third prize winner is Michael of Atlanta. 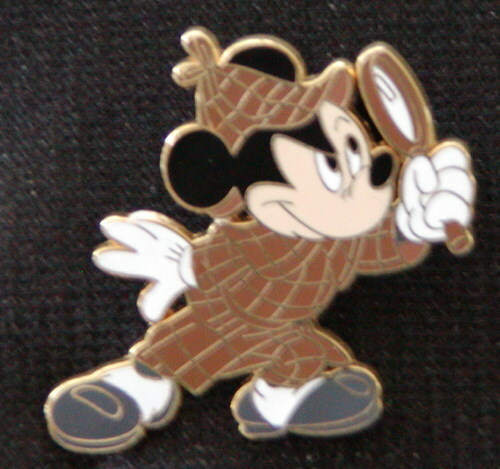 Michael, we will be sending you a Mickey pin (Mickey dressed up as Sherlock Holmes). Congratulations and thank you to all three of you! 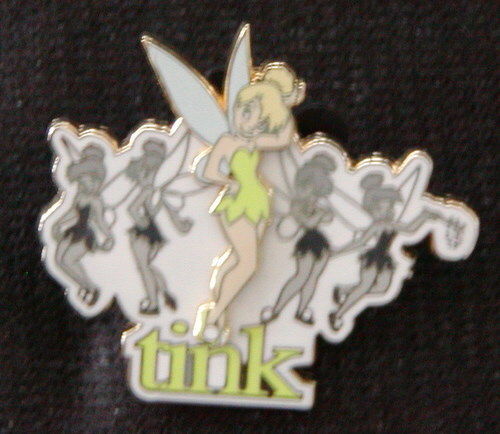 The Tinkerbell pin goes to Blaire. The Mickey pin goes to Michael. 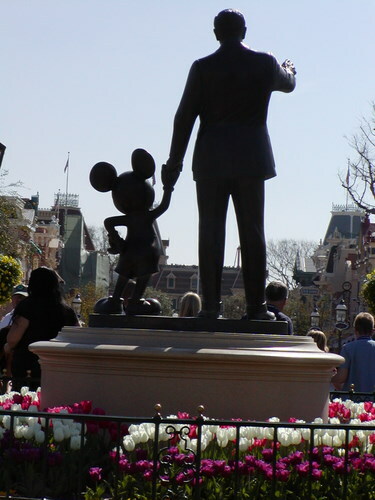 Bye for now, Walt and Mickey! DISNEYLAND AT FULL THROTTLE !!! How do Mattern’s do Disneyland? Well, this last time, it was at FULL THROTTLE!!! Our son, Jeremy, joined us at the Magic Kingdom. Being a running coach, he suggested that we could go on 20 different rides in just one day. We are always up for a challenge, so the goal was set, and away we went! By the end of the day we had been on 20 different rides, four of them twice, for a total of 24 rides! So here’s your challenge, look at the ten pictures below, guess which ten rides are represented by the pictures. Email your answer to us by noon (PST) Friday, February 22, 2008. Our email is info@americanharvestusa.com Emails with the most correct answers will be placed in a drawing for three Disney collector pins. Have FUN! 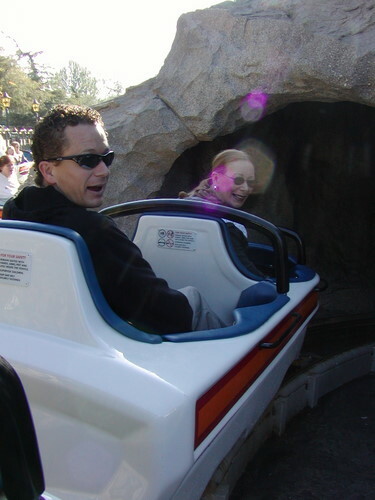 Picture #1, shows Sharon and Jeremy entering the first ride of the day. Picture #2…it is dark inside this ride. 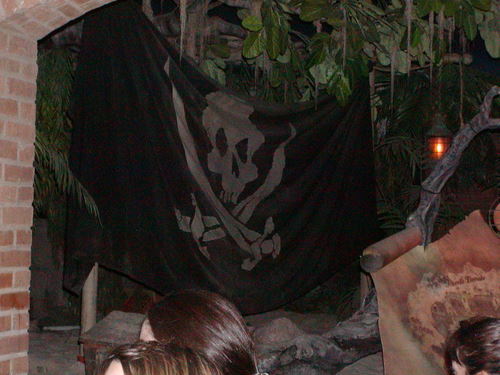 Picture #3…You might just see Captain Jack here, Donna O. 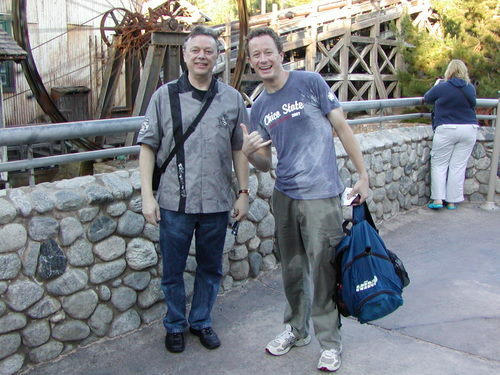 Picture #4…Jeremy is pictured with the namesake of this ride. 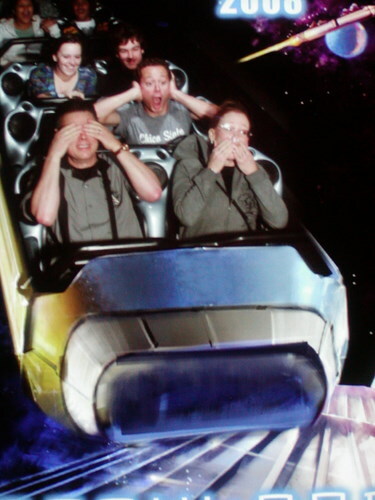 Picture #5…this happens to be Sharon’s favorite ride in Disneyland. Picture #6…it is so much fun when you spin out of control! 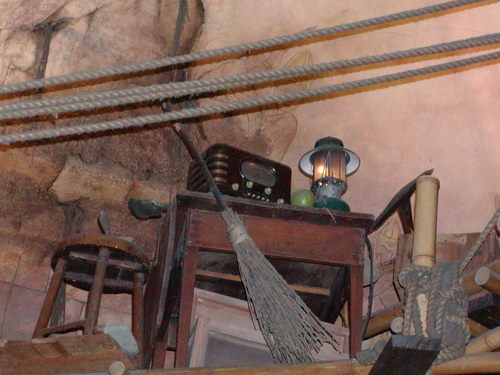 Picture #7…this ride is in CA Adventure, and you might get a little wet. 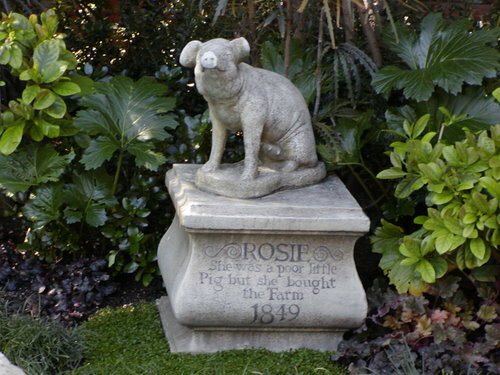 Picture #8…chilling statues are in the garden walkway to this ride. 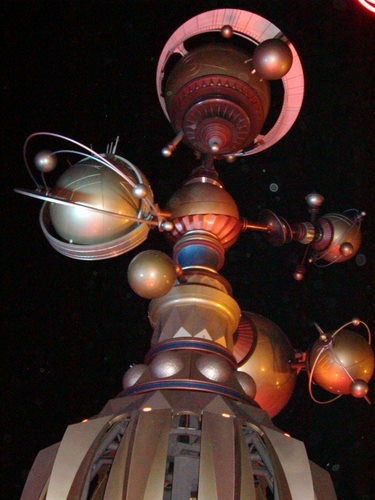 Picture #9…this ride is out of this world. 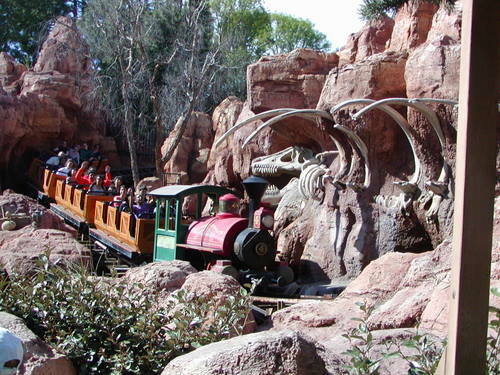 Picture #10…wildest ride in the wilderness. 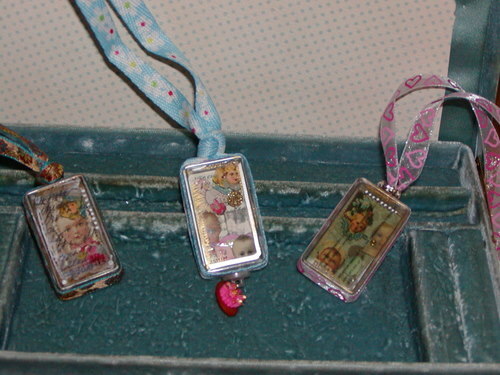 Finally, here is a picture of the three Disney Collector pins for the lucky winner of this challenge!!! By the way, if you think that all we did was go on 24 rides….you are so WRONG!!! We ate our way through Disneyland and California Adventure, we visited with our friend, Laura, who was there with her Disney Pals, checked out all of the beautiful flower gardens, people watched, shopped for clothing, traded pins, saw several Disney characters, and finally watched the "magical" fireworks!!!! Boy, are we exhausted!!! Hi everyone, yes it is me, Rodger, or as I am often called "the guy that is married to the red head at American Harvest". 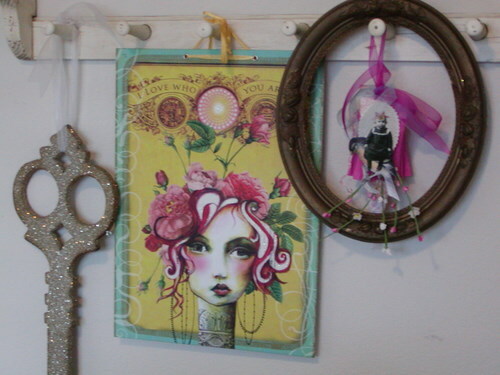 I thought that I might give you a glimpse into Sharon’s world at her home office and work space. She has no idea that I am writing this, but I’m sure she’ll find out soon enough. I peeked around the corner and snapped this picture without her knowledge. 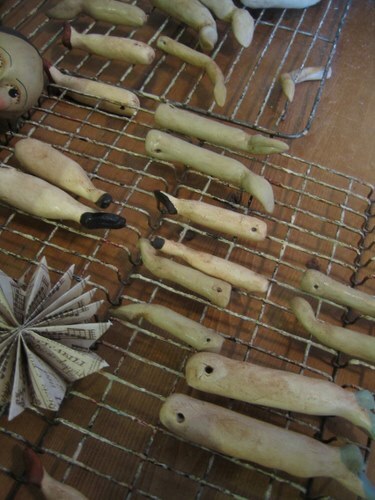 Do you know that she creates many things for her store, American Harvest? 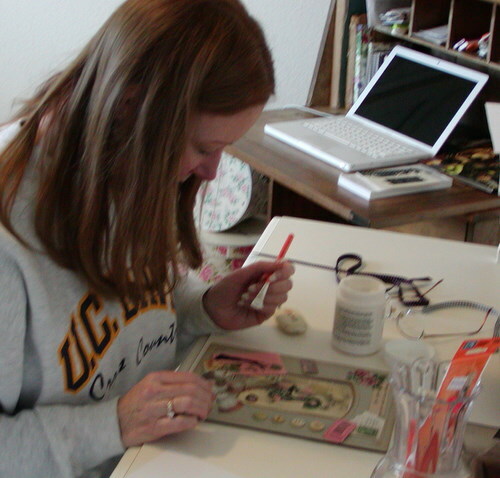 She had a full time crafting business for 18 years before she opened her store. 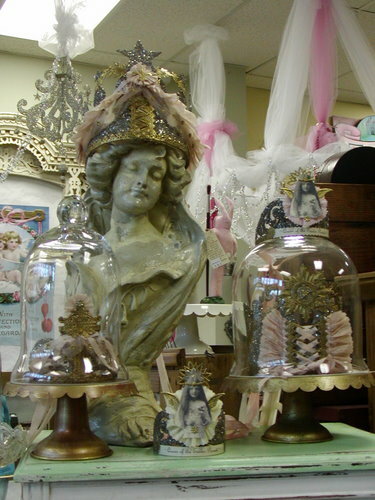 She loves old frames and glass pedestal cake plates. 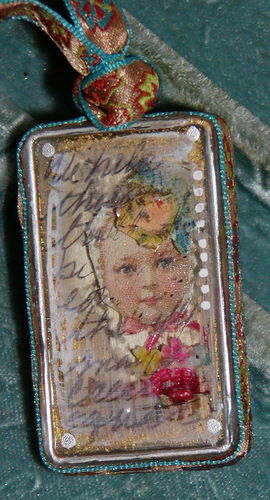 Wendy Addison made the glittered key for Sharon a few years ago and now the key has been added this year to the Midwest line. 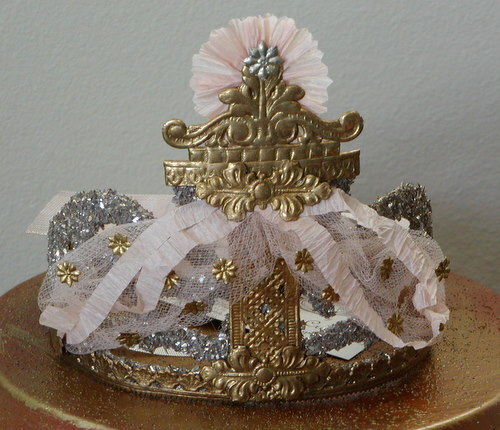 Sharon loves pretty things and she is crazy for pink. 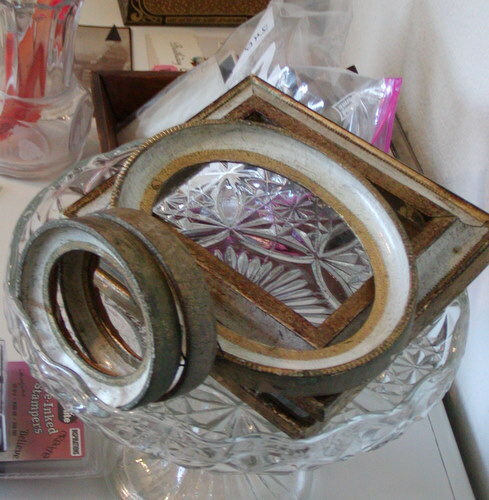 Ulla made the candy container that hangs in the oval frame. 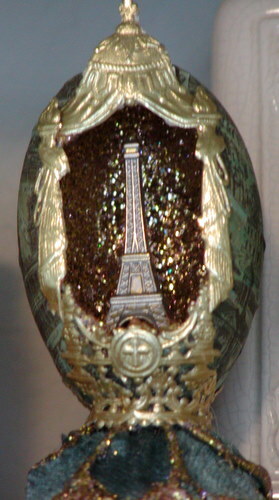 Our friend Jan gave Sharon this beautiful egg made by Iva (I think). 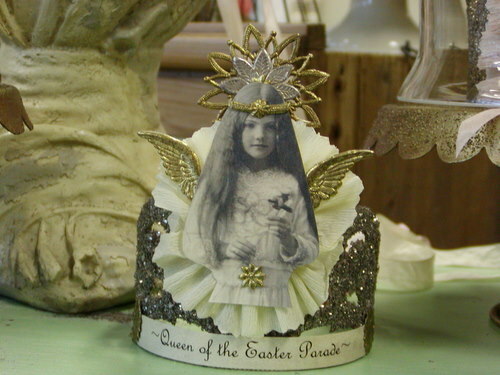 The Plan de Paris book is mine, but somehow ended up in Sharon’s workroom. Photo of our son’s wedding is to the right. 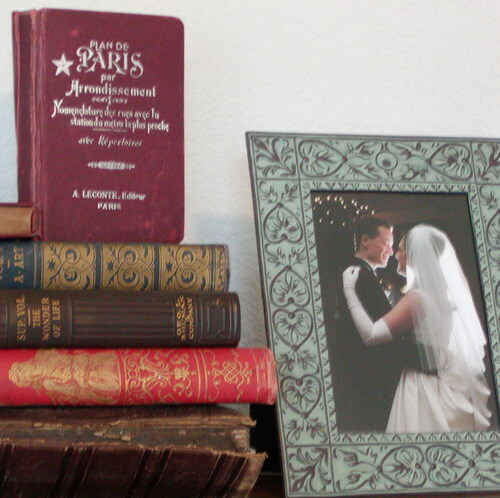 Pictured below are old books and our eldest son’s wedding picture. 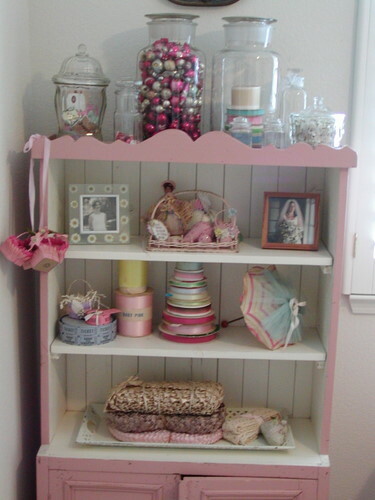 The little pink cupboard holds many supplies, including antique ribbons, tickets and glass beads. 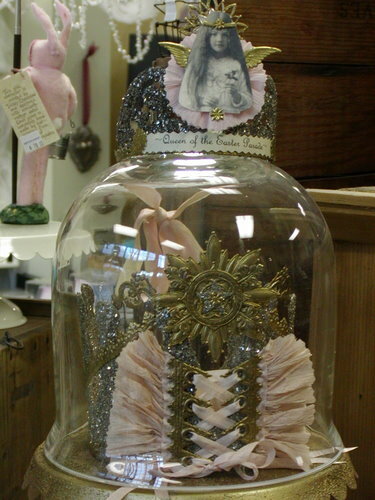 The paper ribbon on the bottom shelf is from Switzerland, while many of the other ribbons are from France. Sharon’s favorite word is passion. If you don’t have passion for life, people, places and ideas….just sit that one out! I found this quote amongst her supplies. 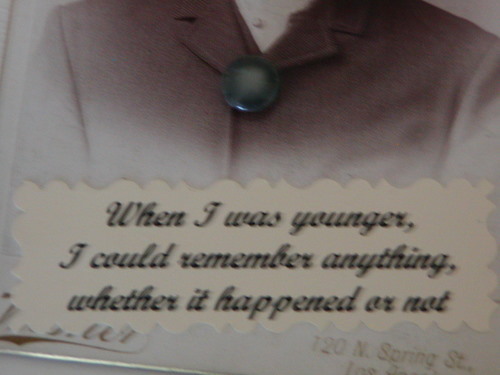 Sounds just like my dad, who is 90 years old….but I think that Sharon meant it for me! 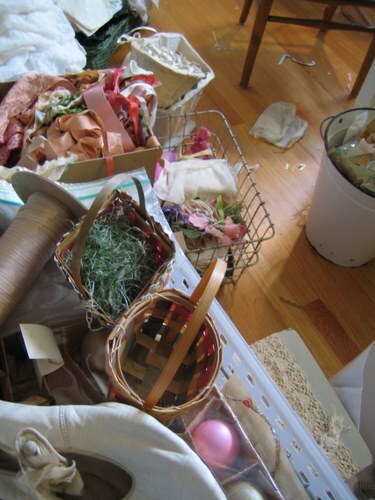 I hope that you enjoyed this visit to Sharon’s workroom and I hope that she doesn’t get too mad at me for inviting you in. 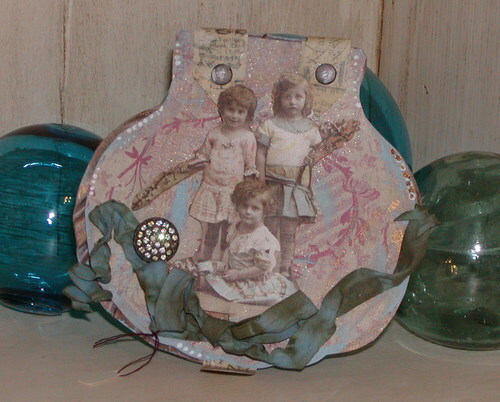 Connie Govea Stuart’s creative, imaginative work is perfectly showcased in this clam shell book collage. 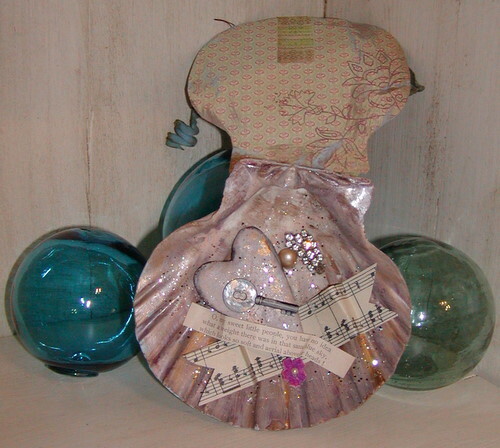 The real clam shell is filled with music, a key, jewelry, book quote, heart and of course a pearl! 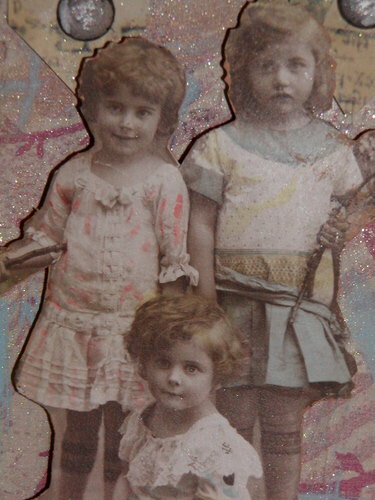 Three darling girls grace the top of the clam shell closure. 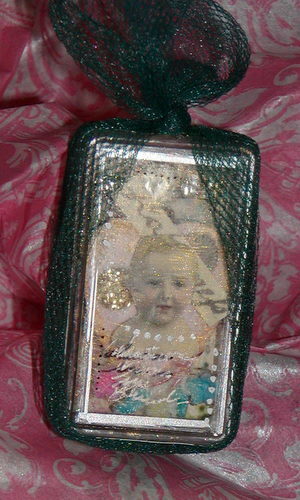 A pretty ribbon and rhinestone button complement the picture. A peek inside the clam shell book. 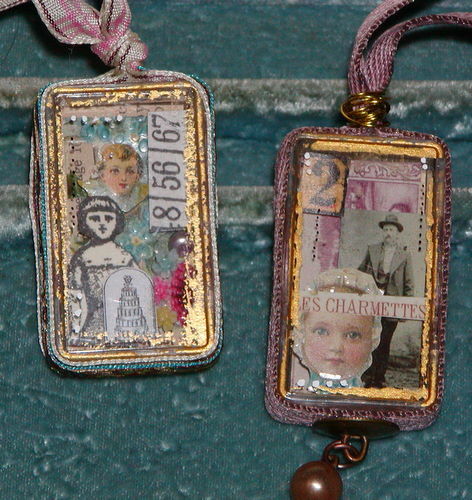 Connie’s creative spirit lives strong in these wonderful collaged pendants. 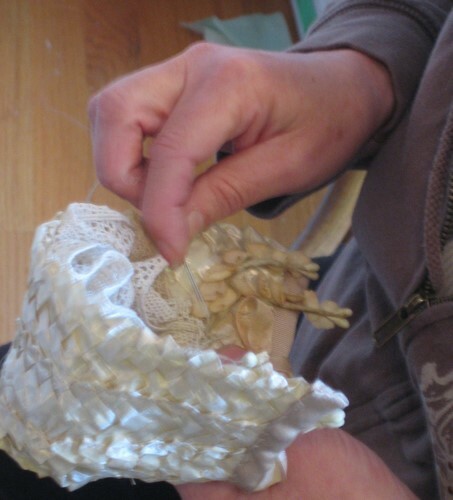 Each is tied with a different ribbon to finish the necklace. 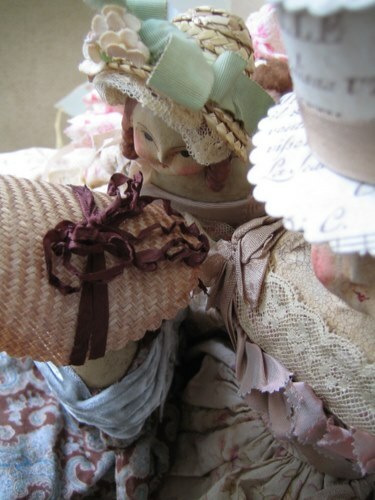 Come to American Harvest in Pleasanton, CA to see additional wonderful creations by the very talented Connie Govea Stuart!